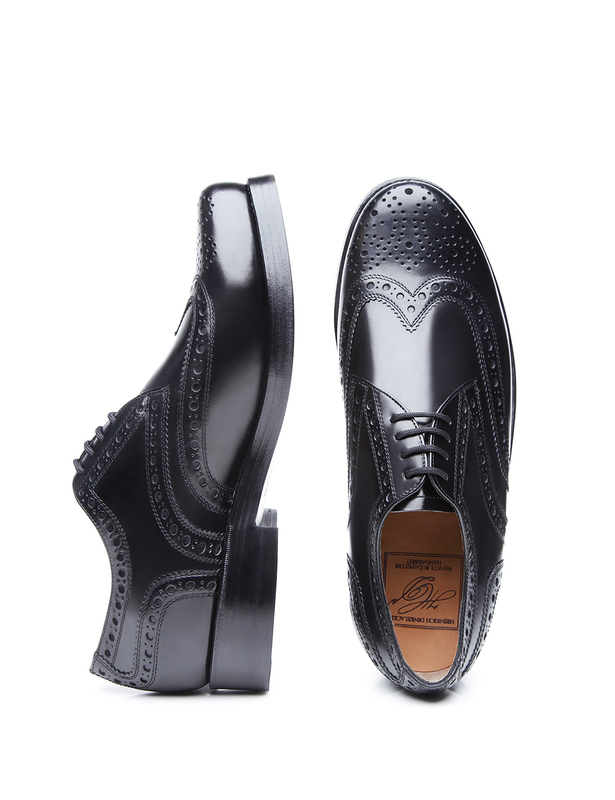 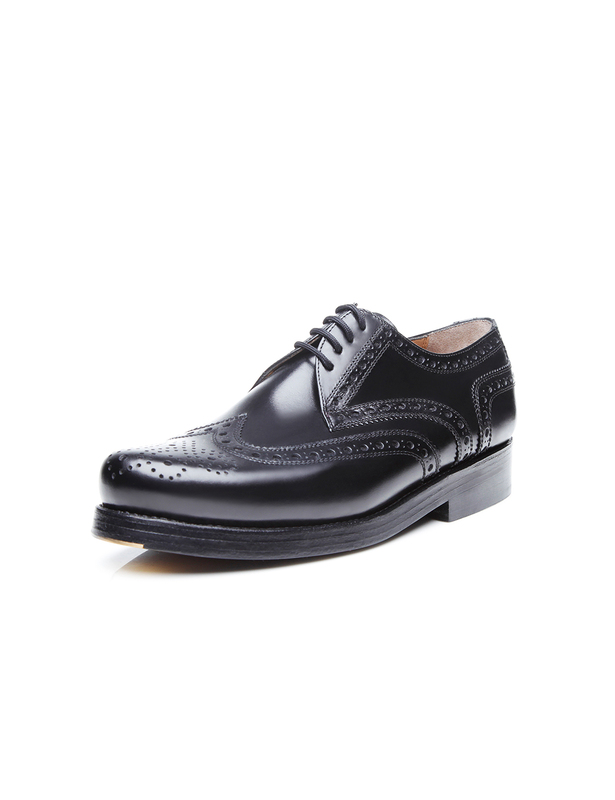 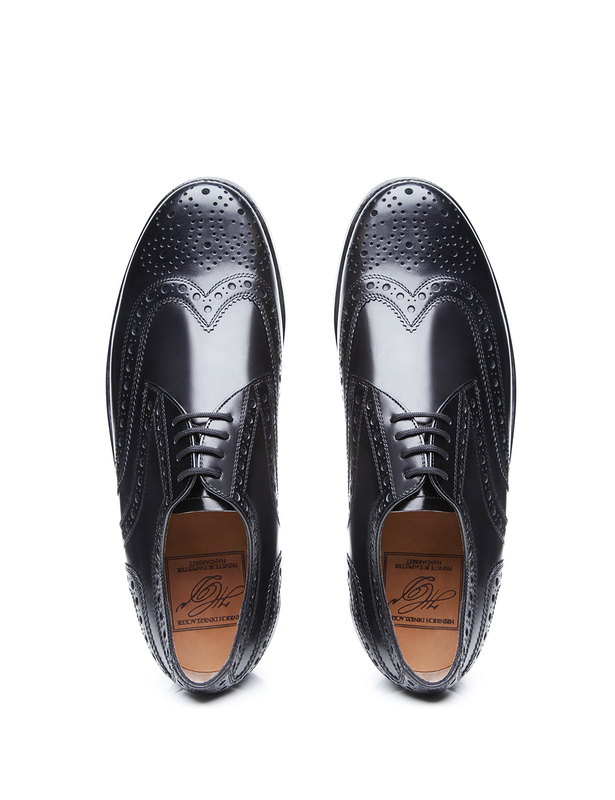 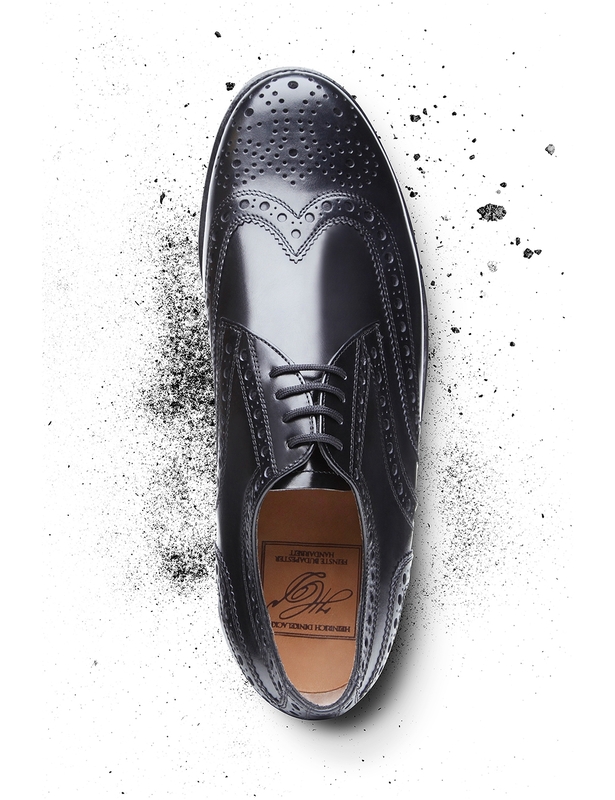 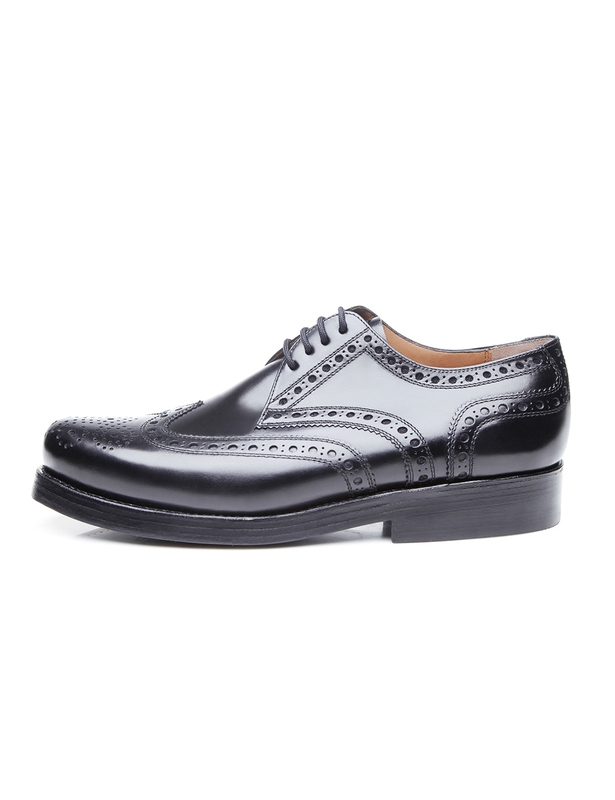 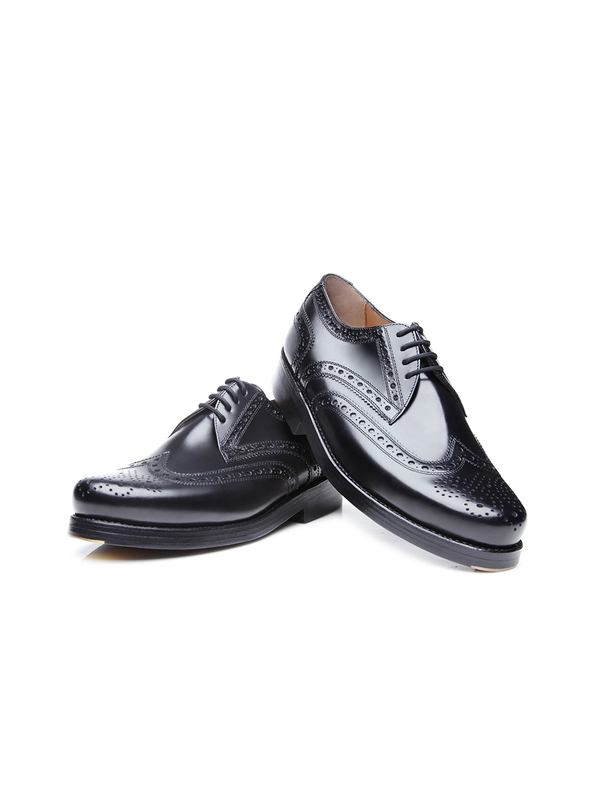 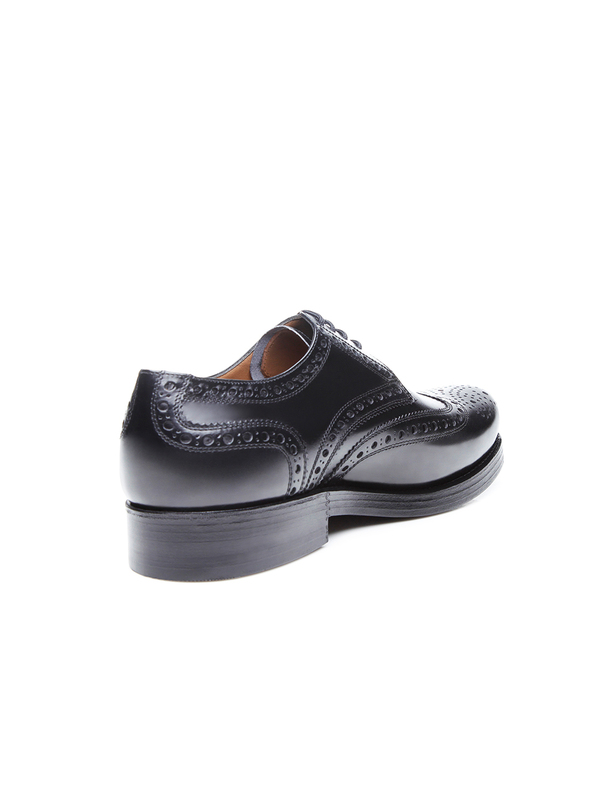 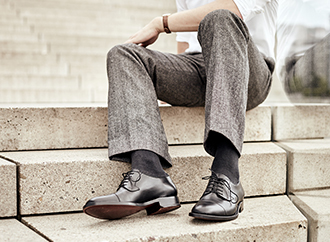 The handcrafted and sewn-welted full-brogue Derby is a perfect example of masterful Hungarian craftsmanship and proves to be a modern all-rounder for work and play. 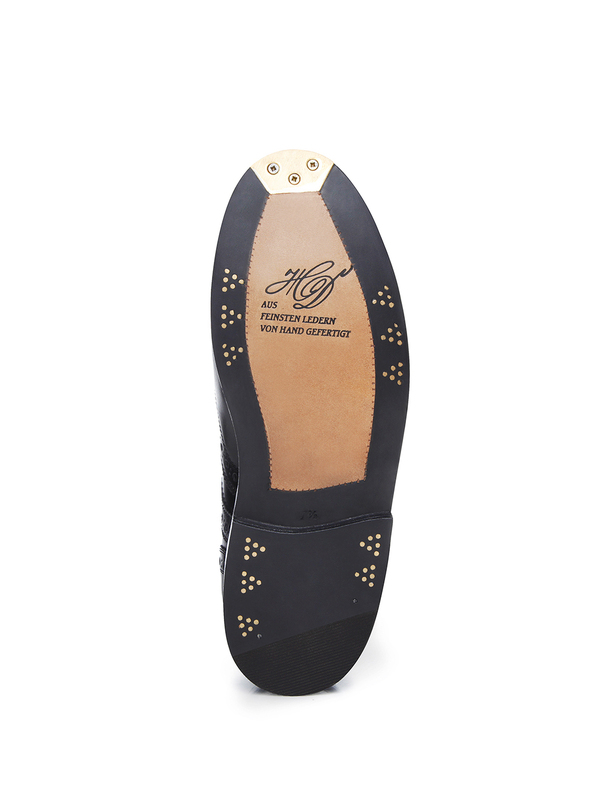 Comfortably wide classic Rio shoe lasts are accompanied by an opulent Lyra perforation along the shaft edges, as well as on the added wing and counter cap. 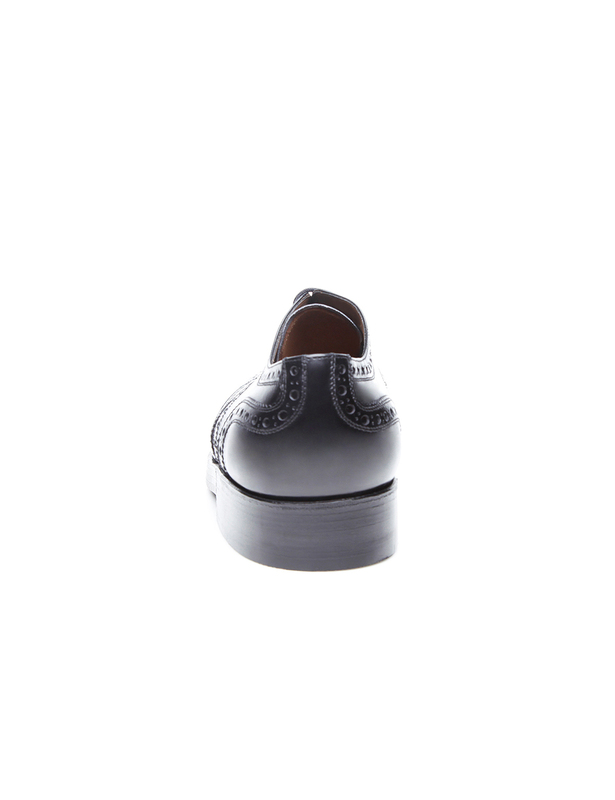 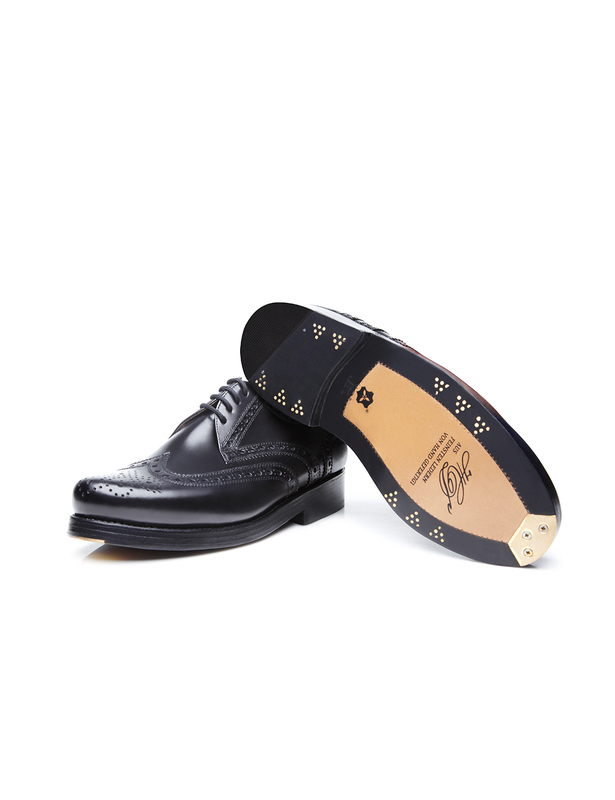 These elegant full-leather shoes are celebrated for their open four-eyelet lacing and the famous triple sole, in addition to six elaborate brass nails and fittings at the tip of the outsole. 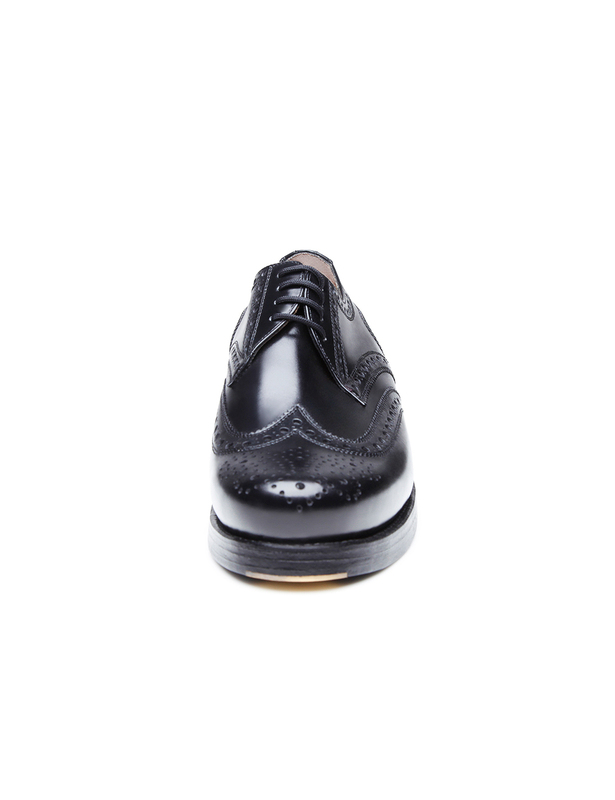 Supple box calf leather, a glazed and aniline dyed calf leather, guarantees a very fine surface texture and is predestined for elegant men’s shoes.